The Person of the Year award is bestowed upon musicians of Ibero-American heritage in recognition of their artistic achievement in the Latin music industry and their profound humanitarian efforts. Past honorees include Marc Anthony, Miguel Bosé, Roberto Carlos,Plácido Domingo, Emilio Estefan, Gloria Estefan, Vicente Fernández, Juan Gabriel, Gilberto Gil, Juan Luis Guerra, Julio Iglesias, José José, Ricky Martin, Carlos Santana, Alejandro Sanz, Joan Manuel Serrat, Shakira and Caetano Veloso. 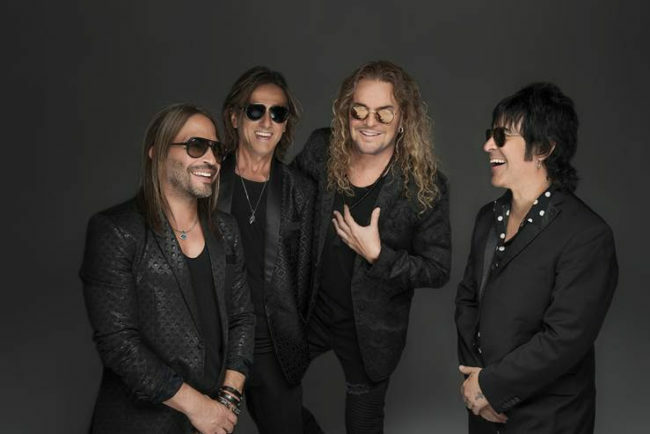 One of the world’s most influential Latin rock-pop bands, Maná—currently comprised of Fher Olvera, Alex González, Sergio Vallín, and Juan Calleros—have 133 gold records, 256 platinum records, and more than 48 No. 1 hits worldwide. Classics such as “No Ha Parado De Llover,” “Rayando el Sol”, “De Pies A Cabeza,” “Labios Compartidos,” “Bendita Tu Luz,” and “Mi Verdad,” among many others, have become essential songs of the Latin American soundtrack. With their latest tour in the United States, the “Latino Power Tour”— they traveled to various cities promoting the importance of the Latin vote in the past presidential elections. For information on purchasing tickets to the Person of the Year gala please contact The Latin Recording Academy’s ticketing office at (310) 314-8281 or ticketing@grammy.com.